All Nippon Airways or commonly known as ANA or Zennikku is a Japanese airline company with headquarters in Tokyo, Japan. 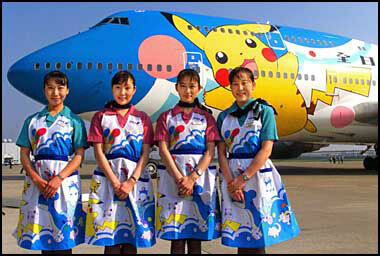 The airline is Japan's second-largest domestic and international flight company after Japan Airlines. ANA has scheduled passenger flight services covering a total of over 49 destinations throughout Japan and 22 international cities worldwide. 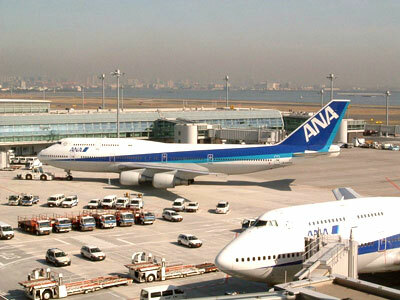 With a company size of over 22,000 employees as of March 2007, ANA's key international hub is in Narita International Airport and domestic hubs in Tokyo International Airport, Osaka International Airport, Chubu International Airport (near Nagoya), and New Chitose Airport (near Sapporo). ANA Cargo offers freight services to domestic points in Japan with more than 900 daily flights on schedule to cover 139 routes. For international destinations however, ANA Cargo also has 362 weekly flights spanning across 28 destinations and handled by both ANA and Air Japan (later ANA & JP Express) together.